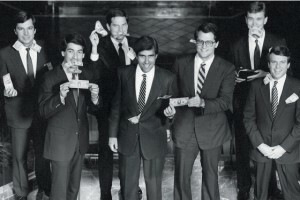 The Obama Campaign has been hitting the Romney campaign hard all week with accusations of job outsourcing and Mitt Romney staying with Bain Capital past the 1999 date he claims he left the company. While this is typical back and forth campaign volley in an election year, this particular attack makes Mitt Romney’s biggest strength, a successful leader in capitalism, into a weakness that will undermine his support among voters. This Machiavellian style of attack is more common coming from the Right, with Republican strategists such as Karl Rove that are notorious for their cut-throat tactics. This time, the Obama campaign is exploiting Romney’s work history for their own benefit. The biggest problem for the Romney campaign so far has been their response to the accusations. This past Saturday, Mitt Romney even demanded that the Obama campaign apologize for their attacks. In response, the Obama campaign released an ad using Mitt Romney’s own words against him. So why does this issue even matter? For the average voter, the notion of someone being the CEO and sole proprietor of a multi-million dollar corporation only on SEC filings is not something they can relate with. Even worse, it isn’t the action of someone they trust to revitalize a government that many feel has put the interest of the wealthy and large corporations first. Further driving the issue, is Democrats demanding that Mitt Romney release more than just two years of tax returns. He gave years of returns to the McCain campaign in 2008 when he was considered as a VP pick, then McCain went with Sarah Palin. Obviously, there is something in those tax returns, or multiple things, that Mitt Romney doesn’t want voters to see before the November election. The Romney campaign is now on the defensive, which means, in a debate, that you’re losing. Expect an announcement soon from the Romney camp on a Vice President pick to help distract the media from Obama’s attacks. There is still four months left in the campaign, so voters still have plenty of time to be swayed one way or the other. In the meantime, Romney needs to find a way to better relate with voters, or go ahead and plan his concession speech.